Luke came to Renaissance Financial because of the organization’s emphasis on collaboration, which enables advisors to support each other and build on each other’s strengths. His professionalism and passion for teamwork are drawn from his prior experience in the golf industry, where he was assistant superintendent of a golf course in Nevada, after spending years interning at courses in Delaware, Nebraska and Iowa. 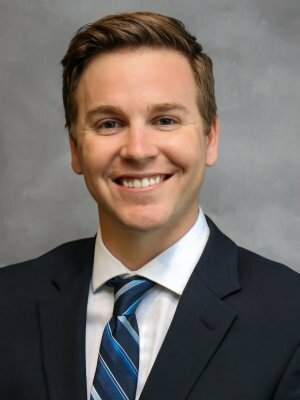 He initially followed in the footsteps of his father, who is a golf course superintendent in Omaha, before his career change to the financial field. Though he enjoys working with young couples and families, as well as a wide variety of clients, Luke has a special interest in working with nurses, as his wife is a nurse. Knowing the challenges that nurses face, he is eager to support those that care so much for others. Luke earned a Bachelor of Science in turfgrass and landscape management, as well as a Bachelor of Science in business administration with a major in finance from the University of Nebraska-Lincoln. Born in Des Moines but raised in Omaha, Luke married his childhood sweetheart Stephanie, who is currently earning her Doctorate of Nursing Practice. Luke holds his Life, Accident, and Health Insurance Agent License, as well as his FINRA Series 7 and 66 registrations.